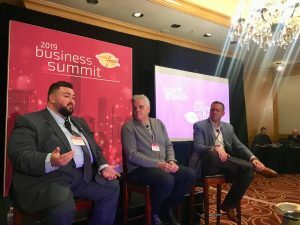 Rather than handling sales and shipping for a food or beverage product, many business owners chose to work with partners to ease their workload and expand their growth potential. 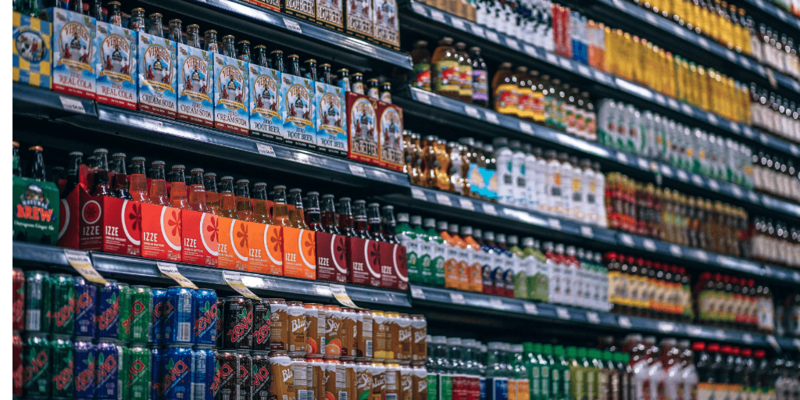 Working with outside service providers allows a food or beverage brand to focus on its core competencies, access experts without hiring new staff, save money, and move quickly to market. What Do Food Brokers Do? Rather than pounding the pavement to sell product to stores, many brands choose to work with a food broker. Brokers have established relationships with retailers and can often help brands get into stores faster. Brokers are essentially like an outside sales team for a brand. Each broker typically represents several food companies in a specific geographic area. Many specialize in product type, others are more diversified, carrying different lines for multiple brands. Food brokers don’t buy product upfront, instead, they charge a fee or commission of the net invoiced price of all products sold. This fee is usually 5-10 percent. Some also charge a small monthly retainer. Many brokers will also work with stores to market your product and coordinate demos. Managing the retail relationship, they can even negotiate promotions or deals and relay information to you about product sales and store feedback. The one reported downfall with brokers is that they sometimes don’t provide the level of service necessary to pioneer a new line at retail. A significant amount of time in needed to successfully introduce new products and brokers usually have multiple brands under management. Some brands choose to engage a broker after they’ve secured initial retail interest, leveraging the broker to scale their product to new stores after they have a proof of concept. What Do Food Distributors Do? Some brands chose to work with distributors, hoping to get more bang for their buck. Like a broker, distributors have relationships with high-volume retailers and can assist with getting new products on the shelf. Unlike a broker, a distributor purchases product upfront and resells to retailers. Since distributors take ownership of the product, they also stock inventory, take orders from retailers, manage the inventory on the shelf, service the retailer’s needs, introduce new products into retail, deliver the products to the stores (DSD – direct store delivery), handle the returns, and normally assist in any product recalls. For these services, distributors take a margin of 20%-30%. It is certainly appealing to have this long list of responsibilities taken off your plate, but it’s important for brands to realize that working with a distributor could mean losing control of the retailer/buyer relationship. Additionally, since distributors represent hundreds, if not thousands, of brands, smaller companies may get lost in the shuffle. Just like with any strategy, brands must weigh the pros and cons of all options and chose the partners that match their goals and values best. What Do Transportation Brokers (3PLs) Do? 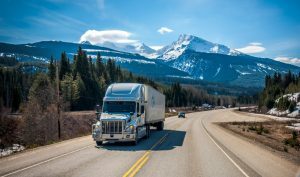 Third-party logistics (3PLs) companies help brands execute on transportation. They get product where it needs to be. This could be from an ocean port to a warehouse or copacker, from a warehouse to a store, from a manufacturing site to a distribution center, etc. They find the most qualified trucks, at the best price, and coordinate the details related to delivery appointments/transit and handle all driver communication. For these services, 3PLs charge a minimal margin of 5-20% on top of the truck price. Brands can choose to bypass 3PLs and save a small amount. If so, staff must be hired to fill the gap and find/manage truck drivers and handle logistics issues. For many, working with an expert 3PL not only frees up time and provides peace of mind, but ultimately saves money through added efficiencies. Services provided by 3PLs are often needed regardless of whether a brand works with a food broker or distributor. Let’s look at a few different scenarios and break down why it’s important to have a logistics partner in your arsenal, no matter what. Scenario #1 – A brand chooses to avoid selling to a distributor or using a broker, avoiding markups altogether. They want to maintain their relationships with retailers directly. They will need assistance delivering to multiple stores or retail distribution centers, working against store parameters and guidelines. Today, most retailers have strict chargeback programs that issue fees for late deliveries or uncompliant freight. Working to prevent these added costs is imperative. A 3PL that has experience with retail and grocery deliveries can help the brand meet the buyer requirements, maintaining strong retail relationships and avoiding retail chargebacks. They can book the best drivers, optimize appointments and routes, look for consolidation opportunities, and deal with any issues that arise. Scenario #2 – A brand works with a food broker to land new sales opportunities. Since the broker doesn’t manage shipping, the brand still needs to get its product to the retail store. Like Scenario #1 the brand will need to book the right truck driver. They can either call multiple trucking companies and gather pricing, or they can work with a qualified 3PL to identify the best option(s). Scenario #3 – A brand works with a distributor such as UNFI or KeHe (major distributors of natural and organic foods) to get their product into grocery stores nationwide. While the distributor will manage delivery into retail stores, the brand will need to get their product to the distributor’s warehouse. That brand has the choice of either paying a higher percentage and having the distributor pick up their product (customer pick-up) or pay a lower price and handle delivery to the distribution center themselves (delivered pricing). The most optimal choice between customer pick-up or delivered pricing isn’t always obvious. And even if a brand chooses customer pick up, the distributor will occasionally require the brand to make a delivery, often giving very little notice. Having a standing relationship with a 3PL can help make these instances less stressful. While these scenarios are simplified versions of complex business operations, we hope they help clarify why building a relationship with a qualified 3PL is essential for any food or beverage brand. Do you need help with retail or grocery deliveries?